Are you guilty of "wish cycling?" That's the practice of tossing questionable items in the recycling bin, hoping they can somehow be recycled. The term arose this weekend in a story about how low material prices are hurting the Twin Cities recycling market. 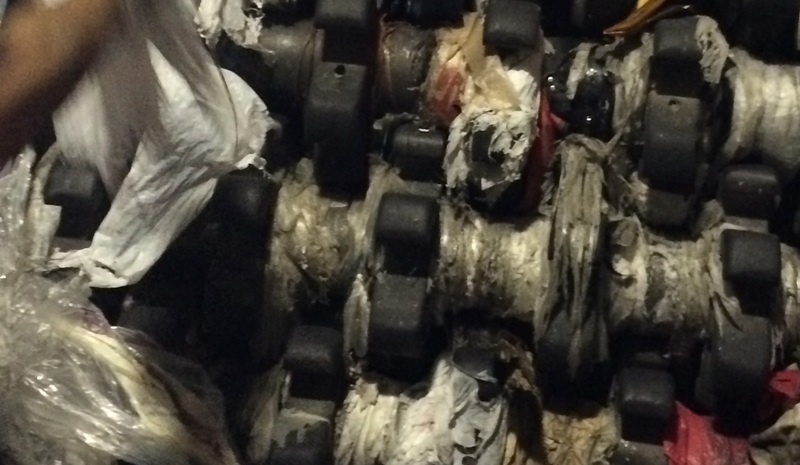 A number of materials in particular frequently show up at local processing facilities, causing problems for the complex machines that make curbside single-sort recycling possible. They ultimately end up comprising the "residual" waste that facilities cannot recycle. Minneapolis' website has a comprehensive list of what to do with a wide range materials. Here is a breakdown of what should be recycled in Minneapolis and St. Paul. Plastic bags: Plastic bags are enemy No. 1 for the facilities that process curbside recycling. They wind around the spinning shafts that help sort materials, constantly clogging the machines. "It causes significant problems, not just for us but across all [recycling processing facilities]," said Kate Davenport, chief of business development at Eureka, which services the city of St. Paul among another clients. “Sometimes two hours a day can be spent cleaning them out." Plastic films like grocery bags, Ziploc bags, bread bags and newspaper bags should all be taken to the special drop off bin located in just about every grocery store. Companies like Trex in Virginia can then turn them into plastic lumber for decking, for example. To find a nearby plastic film drop-off location, visit plasticfilmrecycling.org. Pouches: Food pouches are an increasingly common form of packaging, but they are very difficult to recycle. This includes Capri Sun, as well as the newer flexible pouch packages that hold food like nuts, coffee, rice or granola. "We're seeing a lot more food in pouches," Davenport said. The challenges are two-fold. Often the packages are a composite of two different materials, such as aluminum and plastic, which are very difficult to seperate for recycling. "So there aren't markets or really ways to recycle pouches," Davenport said. They also become flat, which confuses processing machines that treat flat items as paper. "Flat pouches end up going into paper and contaminating the paper," said Bill Keegan of Shakopee-based Dem-Con. 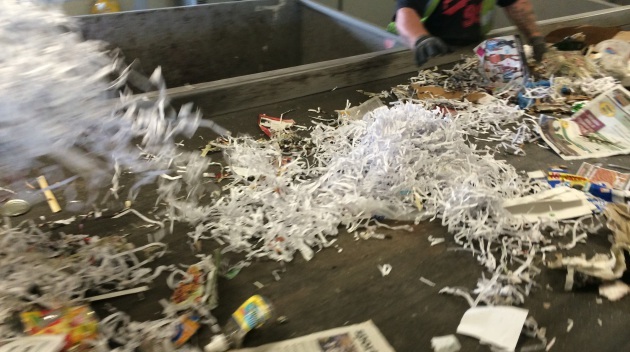 Loose, shredded paper: Paper is recycled more than any other material in the state. But since shredded paper is much smaller, it confuses the processing machines. Minneapolis advises residents to put shredded paper in closed paper bags. "The reality of the modern recycling systems (all of them) is that it is very hard to capture any products that are smaller than 2 inches in dimension, and they end up being sorted with the glass and contaminating the glass material stream," Keegan said in an e-mail. Drinking glasses, window glass, ceramics: Drinking and window glass melts at different temperatures than bottles, so it is problematic when they comingle at a sorting facility. Minneapolis residents can take these to the South Transfer Station with a voucher. Ceramics cannot be recycled at single-sort facilities. Electronics and batteries: Waste Management and Dem-Con both said they see electronics and batteries entering their facilities. Cities and counties have different methods for recycling electronics (Minneapolis has a method for curbside pickup), but they should not be put in the single-sort bin. Keegan said batteries are a large problem because they typically end up in the glass pile due to their small size. Garden hoses and extension cords: These items are particularly problematic because, like plastic bags, they wrap around the equipment and clog the machine. Loose bottle caps: Keegan said loose bottle caps are so small that they contaminate the glass stream. They should be screwed back on the bottles that are being recycled. Some other problem items mentioned by the processors include sharp items such as needles, car parts and tires. They also mentioned tissue paper and paper towels, which should be composted. Davenport said bulky plastic items like kitty litter buckets are problematic since the machine can't process them and they feature several different types of materials. Keegan said he gladly takes them, however. One of the greyer areas in recycling is polystyrene, also known as #6 plastic. The acceptance of polystyrene differs somewhat by facility, but there is a higher chance it won't ultimately be recycled since it currently has a limited end-market. This category includes Styrofoam and the red Solo cups that are ubiquitous at college campuses and weekend barbeques. All three facilities the Star Tribune contacted do not accept Styrofoam. But Waste Management and Dem-Con accept #6 containers like Solo cups. Eureka does not. Davenport, with Eureka, said while some processors accept all numbered plastics (numbers 1 through 7) to make it easier for consumers, there isn't a viable market to reuse polystyrene. Eureka also does not take #3 plastics, PVC, for the same reason. "Our philosophy is if something is not going to be recycled, we’re not going to tell somebody that it is going to be recycled," Davenport said. "It’s disingenuous." But Wayne Gjerde, recycling market development coordinator at the Minnesota Pollution Control Agency, said people should keep recycling #6 containers if their hauler accepts them. He said developing a market for a material "is always a little chicken and egg," but there is a market for polystyrene if it is processed. Other processors said there isn't a market, however. "There are no end markets for the #6 at this time," wrote Julie Ketchum, a spokeswoman for Waste Management, in an e-mail. Keegan, whose facility accepts #6 containers, said a market for #6 plastic only exists in some pockets of the country like New York -- where a judge overturned the city's styrofoam ban this week based on the potential viability of polystyrene recycling there. 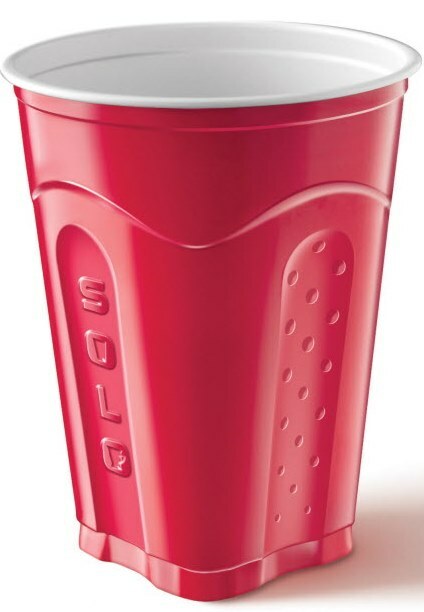 "Whether or not the red Solo cups actually get recycled depend on markets and market availability...We can recycle those as markets change," Keegan said. "Currently, we're not recycling red Solo cups. Nor do I believe really is anybody in this market area."